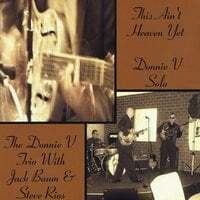 Donnie V | Donnie V Christian Blues | Prayer Request or Comments : Thanks Elissa & Farris for the love note we love you too!!!! Thanks Elissa & Farris for the love note we love you too!!!! We Love & Miss you guys & all our Zanesville CC family!!! We pray God's willing we see you again soon!! If not here we will see you in heaven! !